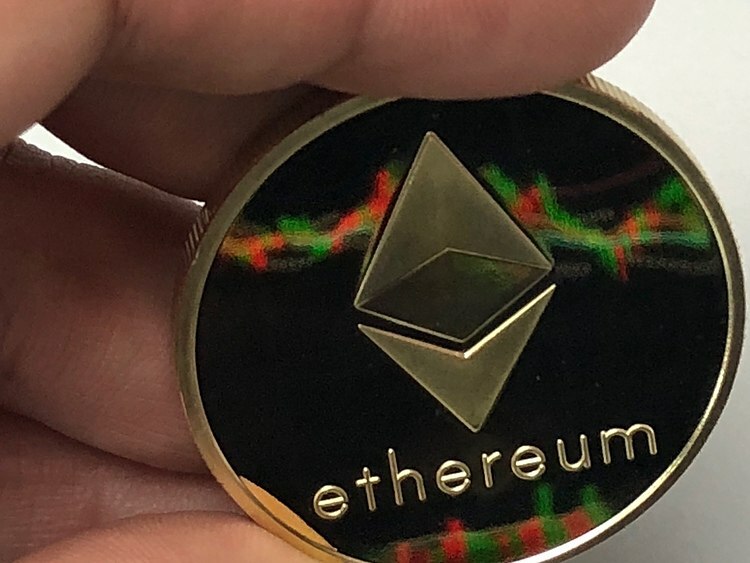 ETH/USD is grinding higher amid market recovery. The ultimate resistance at $125.50 is still out of reach. ETH/USD is changing hands at $123.44, gaining 2% in recent 24 hours. The price movement of the second largest coin has been influenced by speculative factors and the sentiments on a broad cryptocurrency market. Wild price gyrations at the end of the previous week gave way to quiet consolidation in new ranges. However, considering the technical picture on a 1-day chart, ETH/USD and a potential to resume growth as long as it stays above $120.00. $123.50 – Bollinger Band 1-hour Middle, host of SMA levels, Bollinger Band 15-min Middle, Previous Week high. $121.50-$121.70 – SMA50 1-hour, DMA5, SMA200 15-min, 38.2% Fibo retracement daily. $118.00 – 23.6% Fibo retracement weekly, Pivot Point 1-day, Support 1. $115.00 – 38.2% Fibo retracement weekly, 161.8% Fibo projection daily. 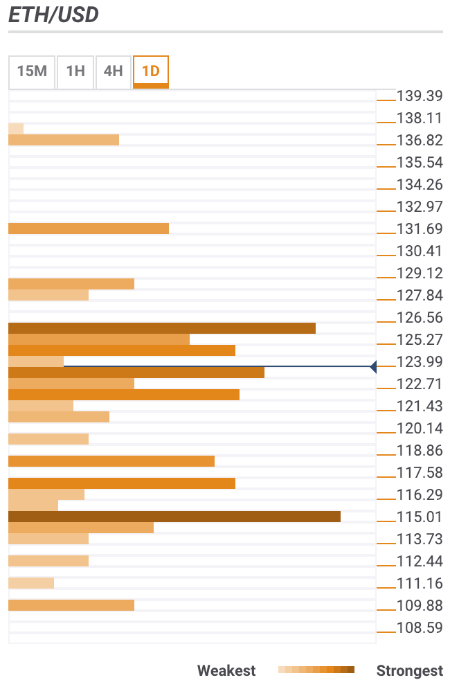 On the upside, the resistance area starts from the current price level and goes all the way up towards $126.50. A sustainable move higher will clear all the way up towards psychological $130.00 strengthened by DMA100 and Pivot Point 1-day Resistance 2. However, before we get there, we will have to clear $124.30 (Bollinger Band 4-hour Upper, 61.8% Fibo retracement daily, previous week high) and $125.50 – DMA50, 38.2% Fibo retracement monthly.